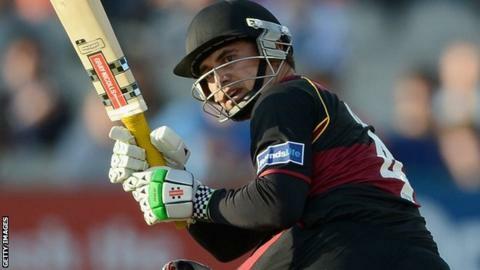 South African all-rounder Johann Myburgh has agreed to join Somerset for the 2014 season. The 33-year-old right-hander played domestic cricket in his homeland before emigrating to New Zealand, where he played for Canterbury. Myburgh has also had spells in county cricket with Hampshire and, most recently, Durham. "Mybs is a quality person and a quality professional cricketer," said Somerset director of cricket Dave Nosworthy. "His track record speaks for itself and I have no doubt that his experience and expertise will add massive value and depth to the team. "However, he is coming to the club with no guarantees or any expectations, so I look forward to him fighting his way into contention. "I have worked with Mybs before and know what he has to offer, so look forward to him performing and also to everyone making him feel as welcome as possible." In his 80 first-class games, Myburgh has scored 5,509 runs at an average of 43.37, including 13 centuries and a best of 203. He has also taken 31 wickets at 44.90. He has played in 97 List A games, scoring 2344 runs along with 24 wickets, while his T20 record stands at 969 runs and 10 wickets in 45 matches.